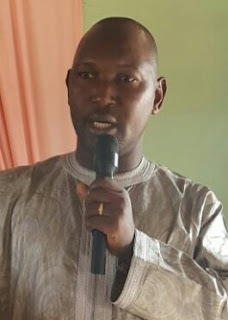 The President of Youths wing Christian Association of Nigeria (YOWICAN), Engr Daniel David Kadzai in a press statement issued to journalists calling on all Religious leaders to refrain from being partisan politicians in the country. In the letter which he personally signed adjudging that religion leaders must refrain from partisan politics and become agent of peace building and make sure there is a sustained peaceful election process as the 2019 draws nearer. are frustrating the efforts making by peace markers in the country for a sustainable peace and development. You can recall that YOWICAN election was held last January, 2018 where Daniel Kadzai challenged the purported elections to have a gross violation of CAN constitution as his tenure is not due for any fresh elections. In the letter Kadzai further reiterated that Nigeria constitution remains supreme over any other constitution as the matter is already in court of competent jurisdiction and is having the confident that it will give a just and transparent ruling in this case. While condoling with the people of Benue state,Taraba ,Adamawa and all affected areas by the Fulani herdsmen and criminal elements causing unrest he applauded the Benue state Governor for his firm stand to provide adequate security for the people of his state. “I appreciates the response from federal government for the deployment of security to Benue and all affected states of Nigeria. The operation… launched by the Chief Army staff is highly commendable and call for cooperation of all to effectively carry out the operations without fear or favour. However the Mother CAN through the office of the Director of Youths,Pst Sanyaolu Abiodun maintain that the last election still stands because it was conducted base on the constitution of the association and with the full knowledge of NEC officials of the organization.